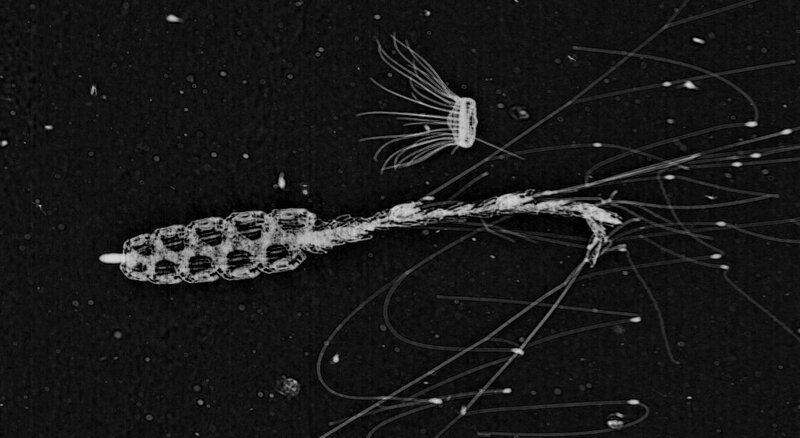 This awesome picture from Plankton Portal shows a siphonophore (referred to by some users on the project as a corncob) and a solmaris jellyfish. Siphonophores may look like one creature but they are actually a combined colony of multiple smaller animals. The most well known member of the family is the Portuguese Man o’ War, which has a venomous sting that can cause severe pain to humans. Keep up to date with all news from Plankton Portal by liking it on Facebook, and following it on Twitter and Google+. Next Next post: Bank notes for nature!